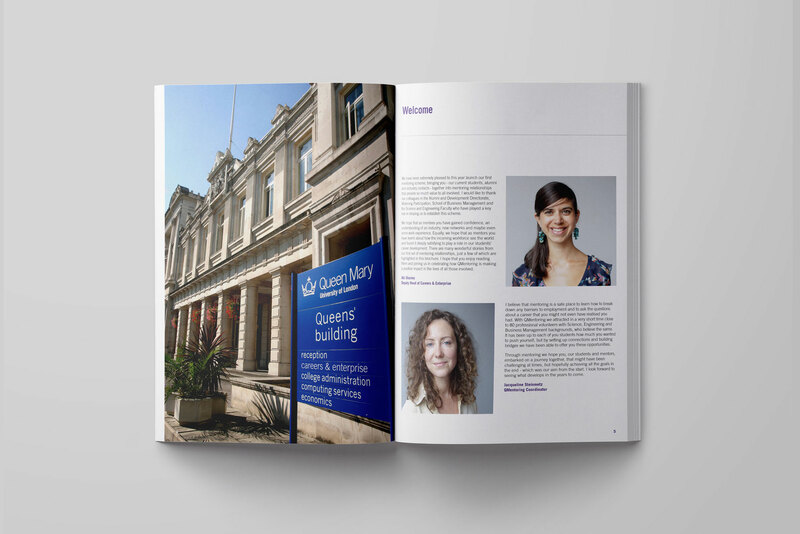 The Queen Mary University QMentoring project connects current students with either a former QMUL alumnus or a UK based professional who act as mentors by providing first-hand insights into their businesses or industry. 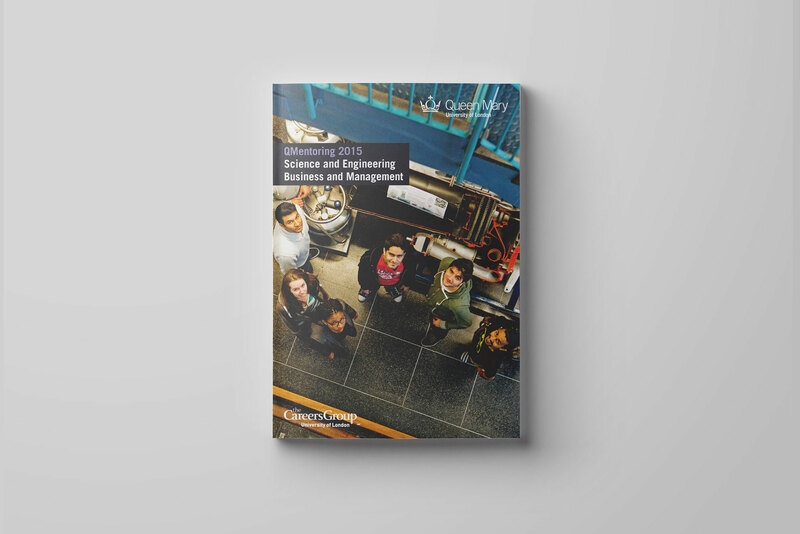 The brochure focused in the important relations that formed between mentors and students. 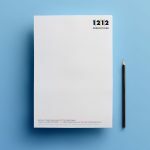 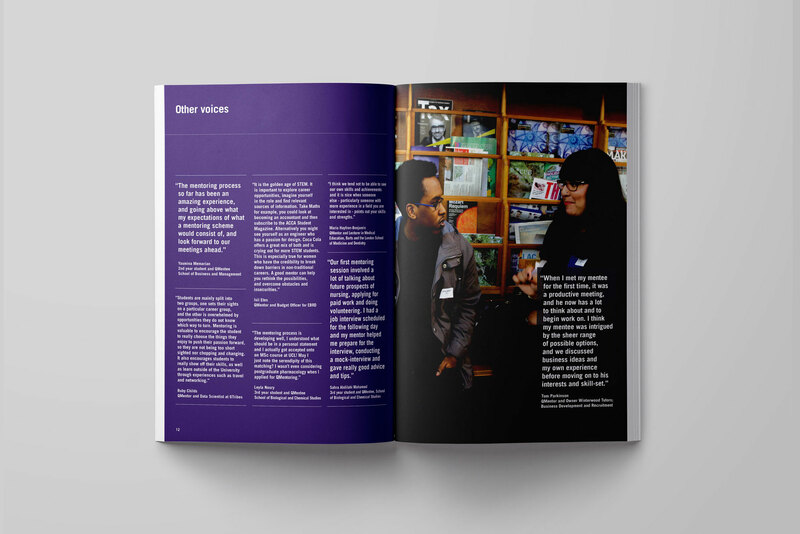 The brief specified that the brochure should appeal to both student and potential mentors and should follow the university’ style guidelines.